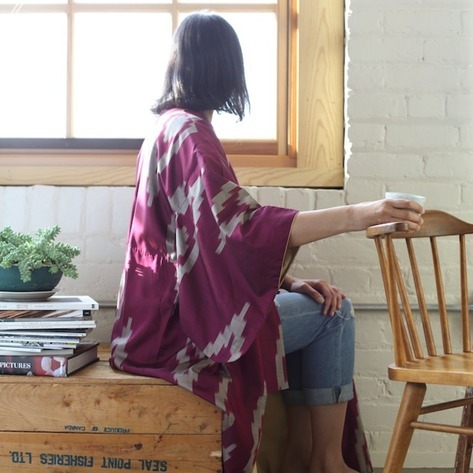 We love the bold graphic design of this wine-red silk ikat kimono, which we found in the city of Kaga, just about a half-hour’s drive from Kanazawa. 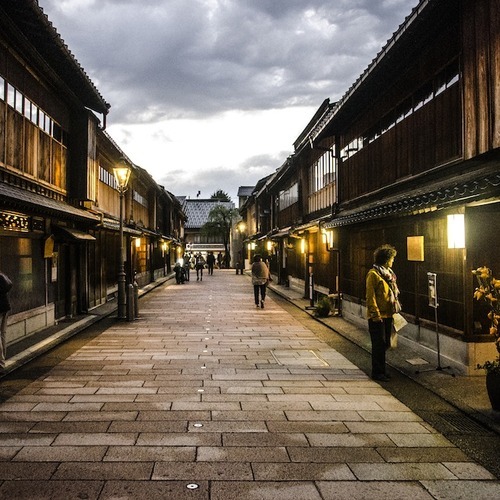 It’s named after the Fukagawa woman who many consider the first modern geisha. 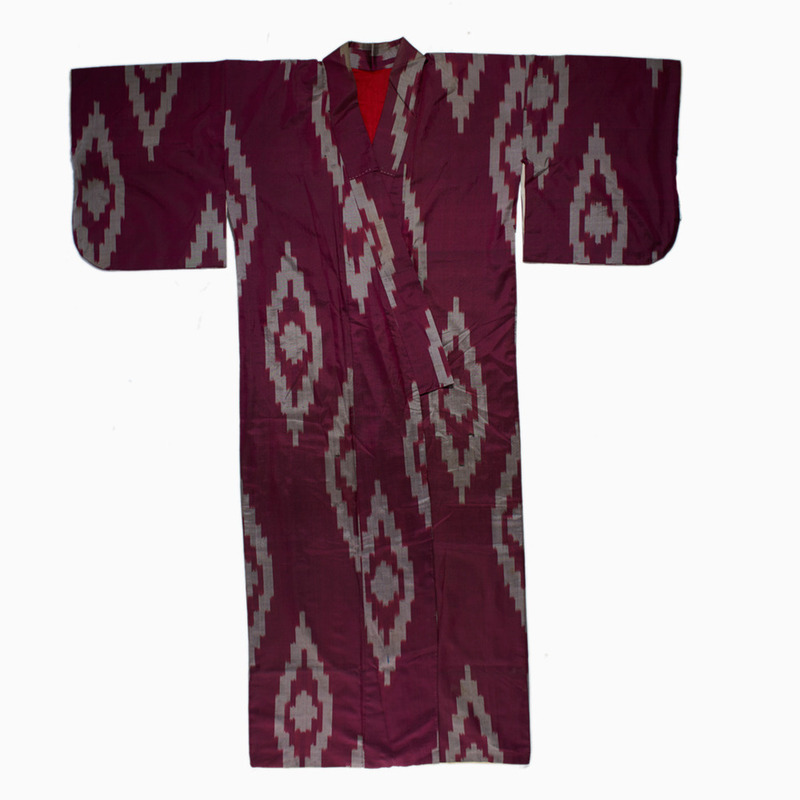 Sleeve to sleeve: 48", Length: 56"
Silk, Lined in red and beige cotton. Shows some wear and has been repaired in places. While this is a vintage piece and would look stunning on a wall, it's in great shape and could also be worn.